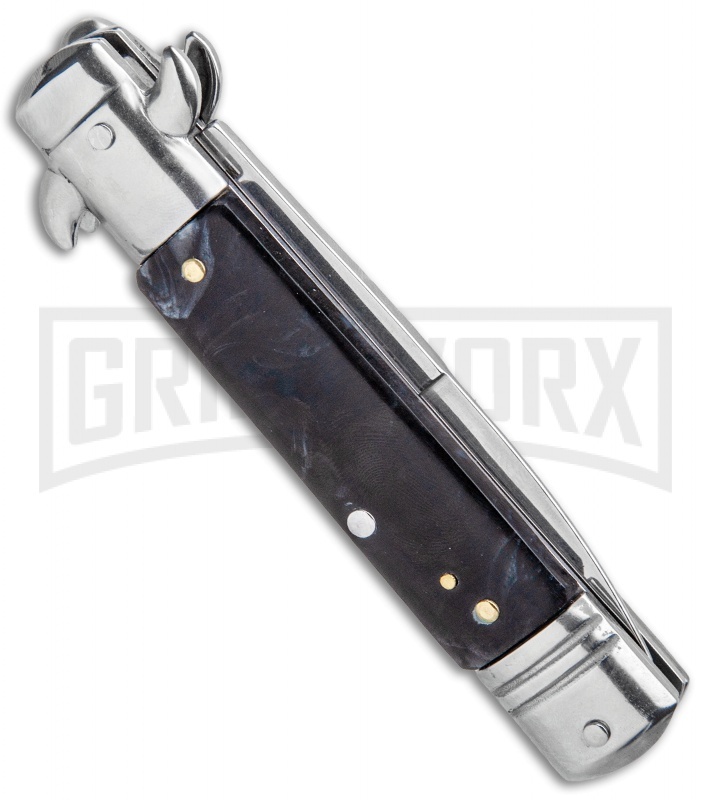 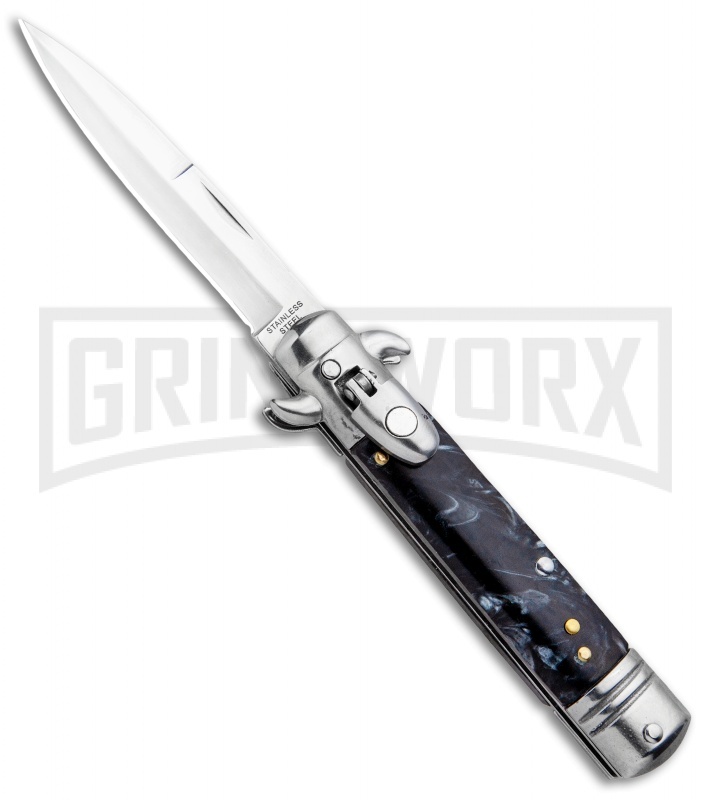 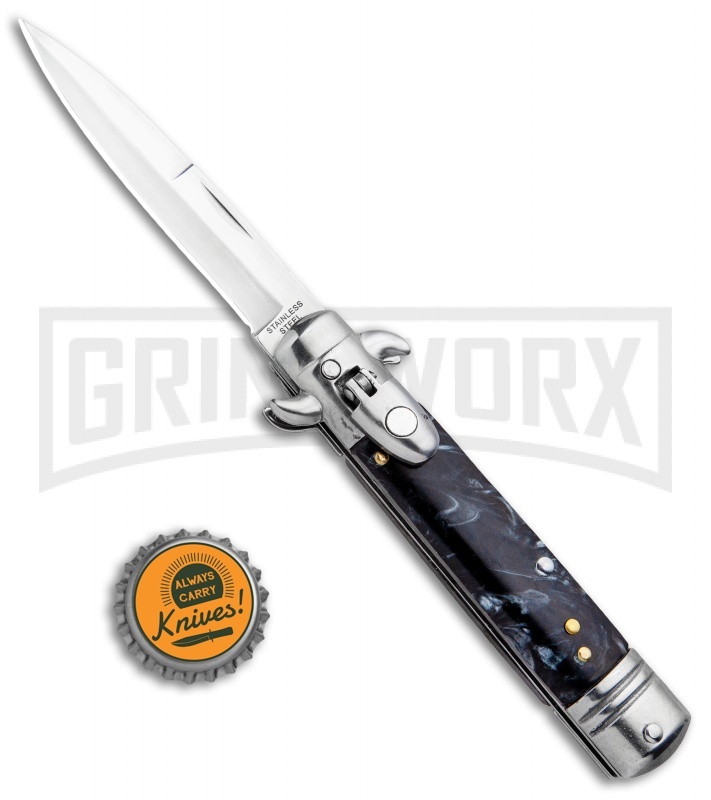 This Milano 7.5" Lever Lock automatic knife features a satin finished bayonet blade and a black marble acrylic handle with stainless steel bolsters. 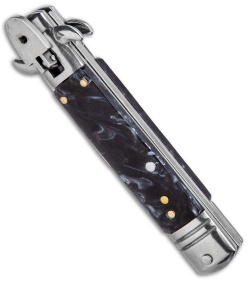 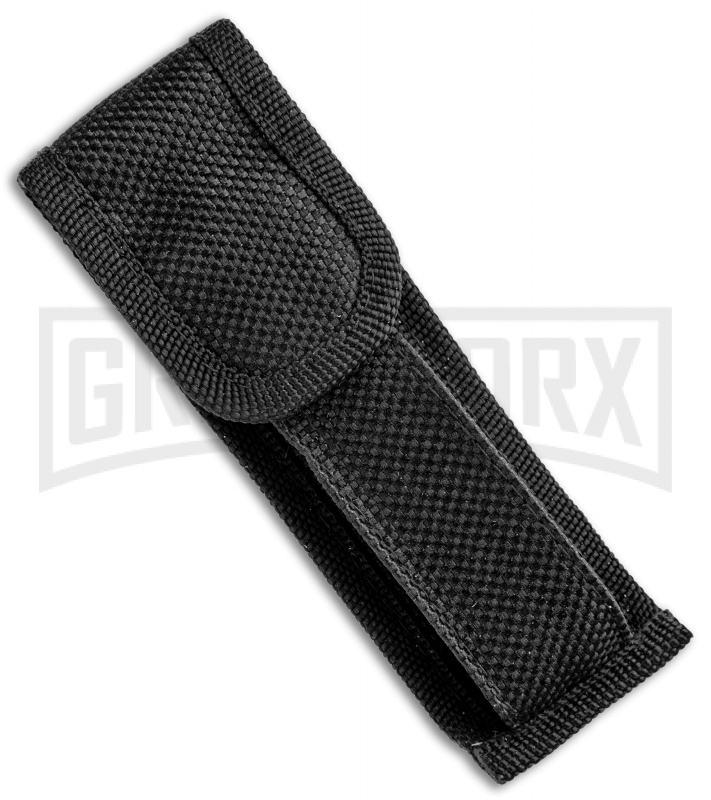 The front loaded lever fires the blade into the open position, and releases the blade to fold closed. Polished stainless steel bolsters and brass handle pins add a classic accent to the Milano design.